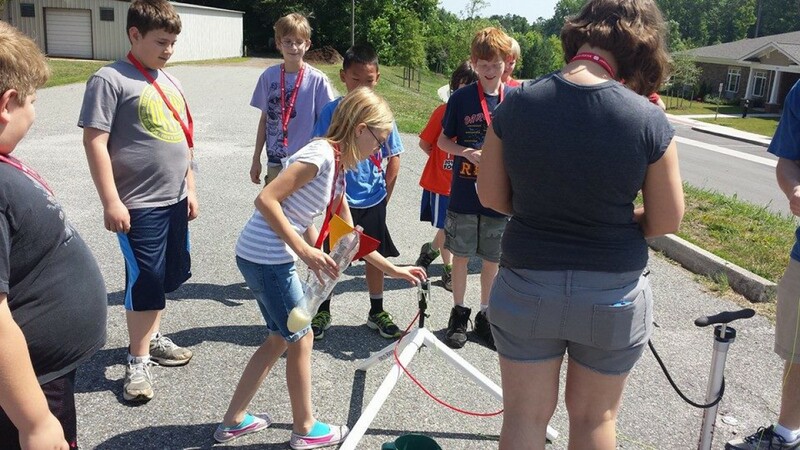 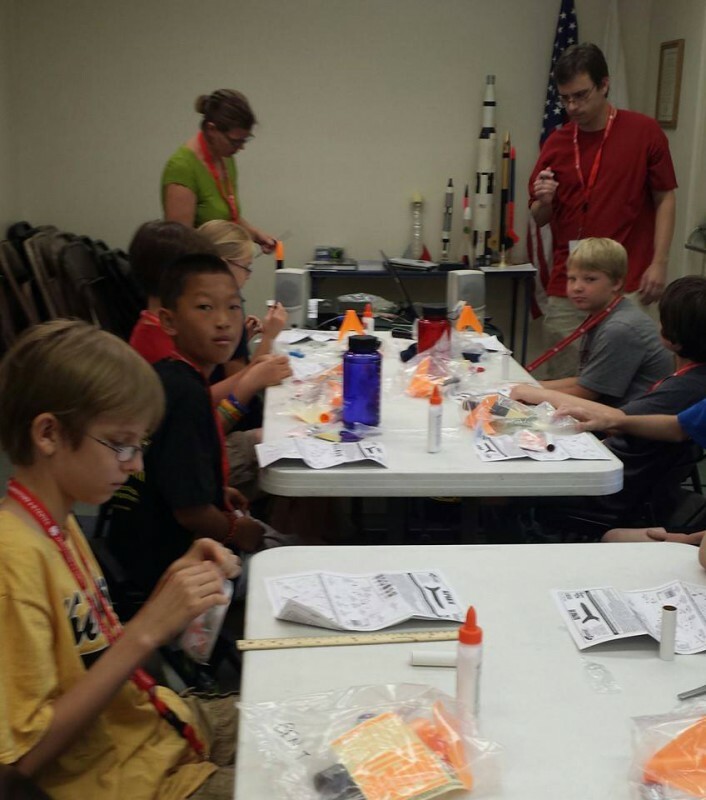 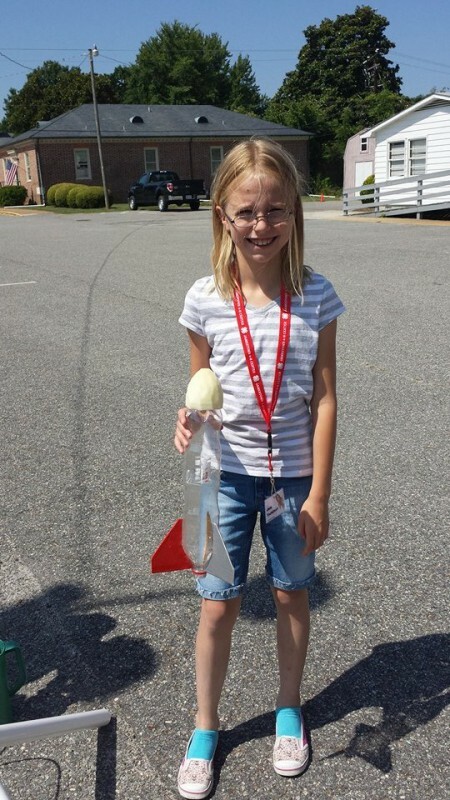 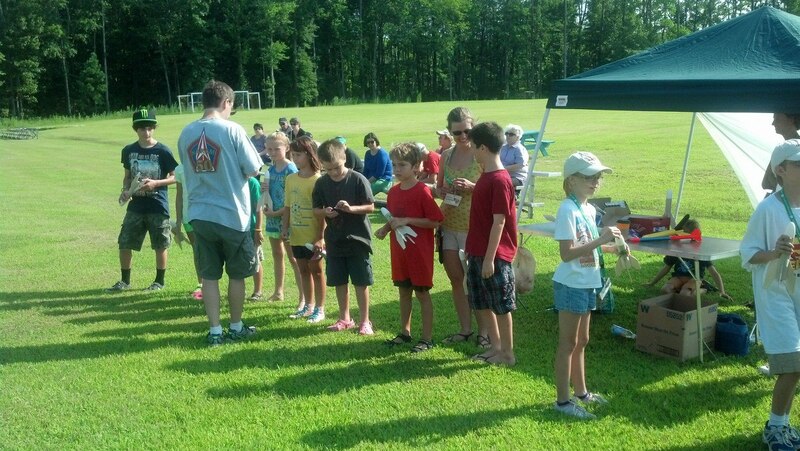 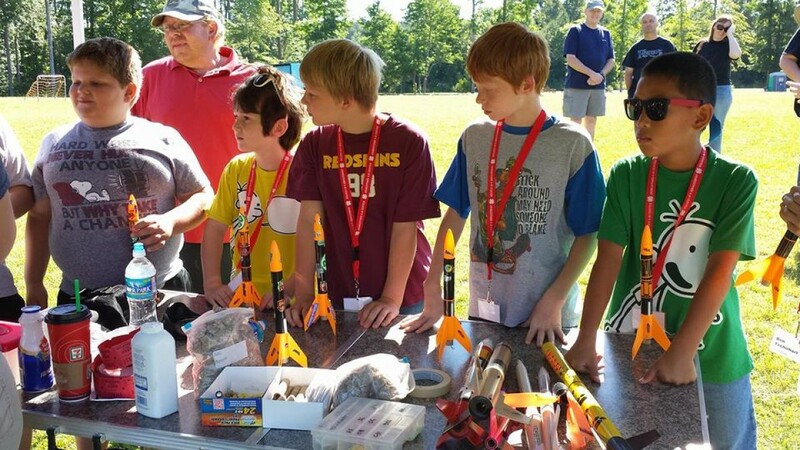 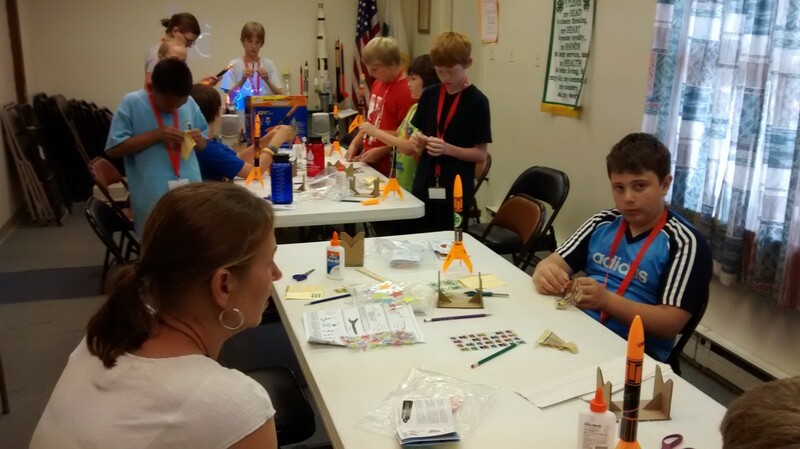 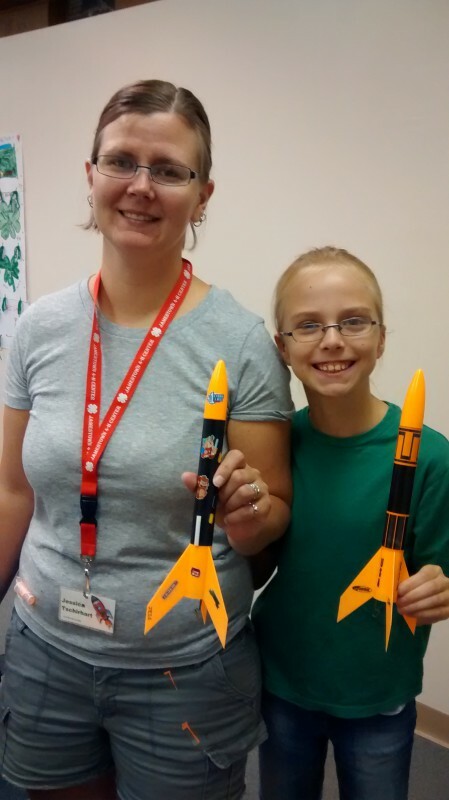 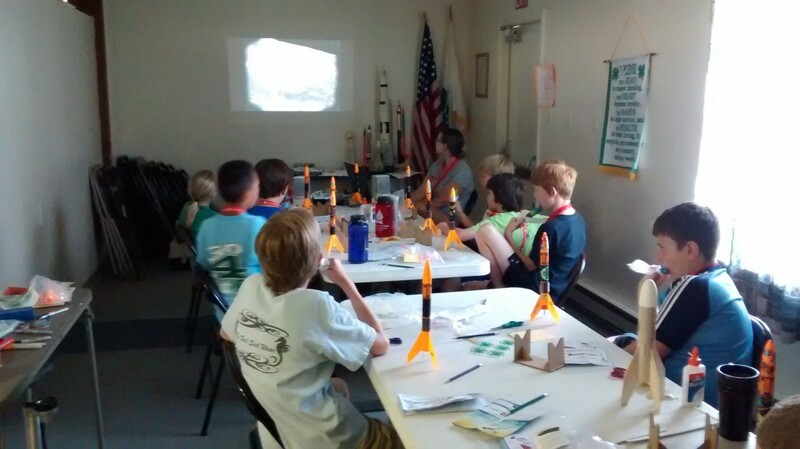 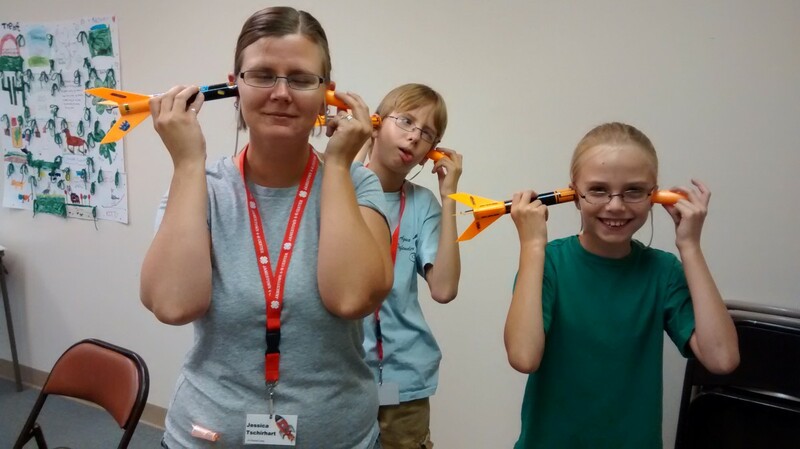 During the first week of July, Jess and I taught a 4-H rocket camp for the second year in a row, and it was a big success. 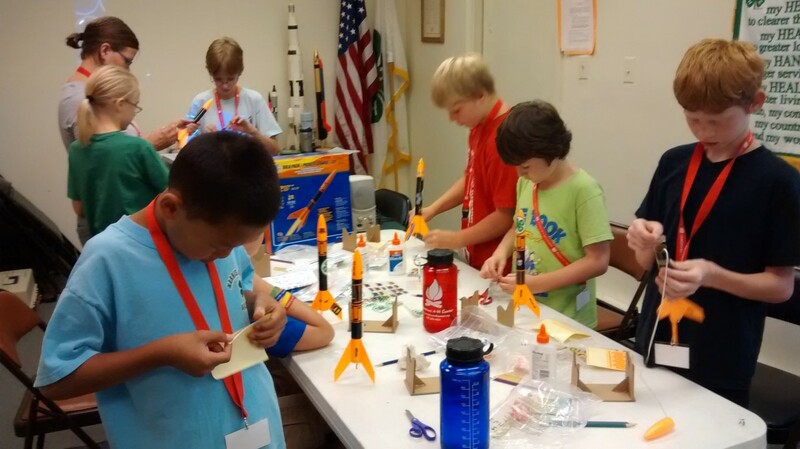 This year we had three days of classroom time, and with simpler kits to build (Alpha III), we had plenty of time to fit in extra activities and videos. 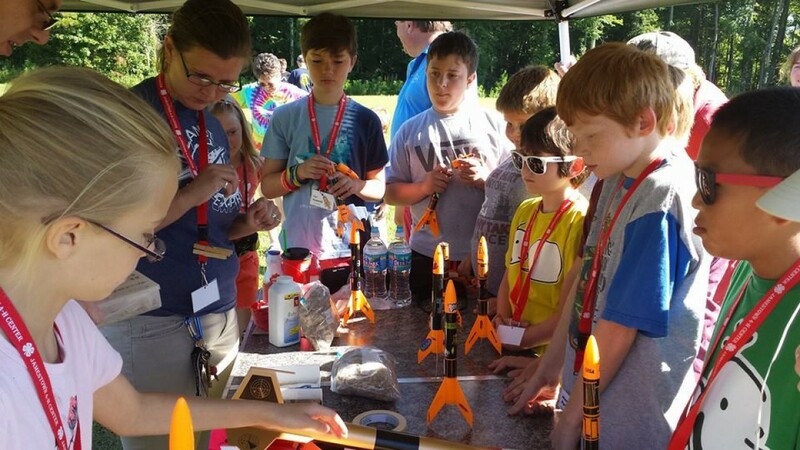 The only real downside was classroom size (basically a half of a trailer), which–thanks to better advertising this year–meant that there was a waiting list that was longer than the roster of students. 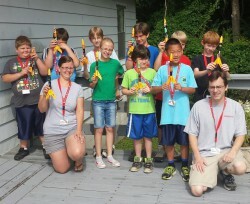 In addition to our two kids, we had seven total, including five novices. 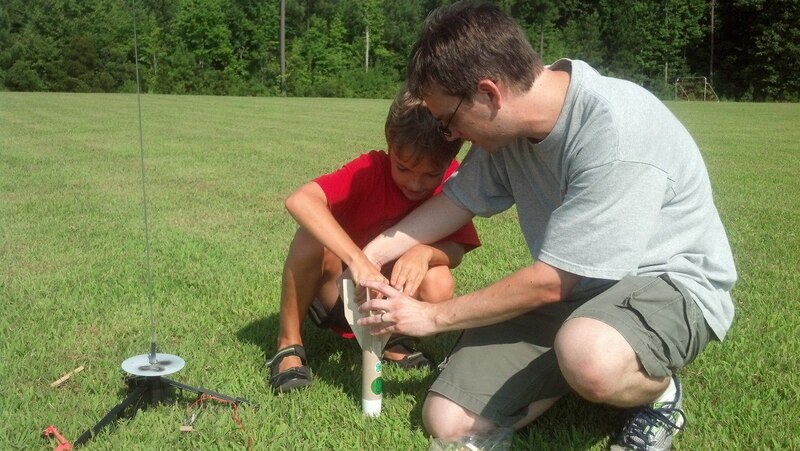 We also had some time to fit in a few bottle (water) rocket flights this year. 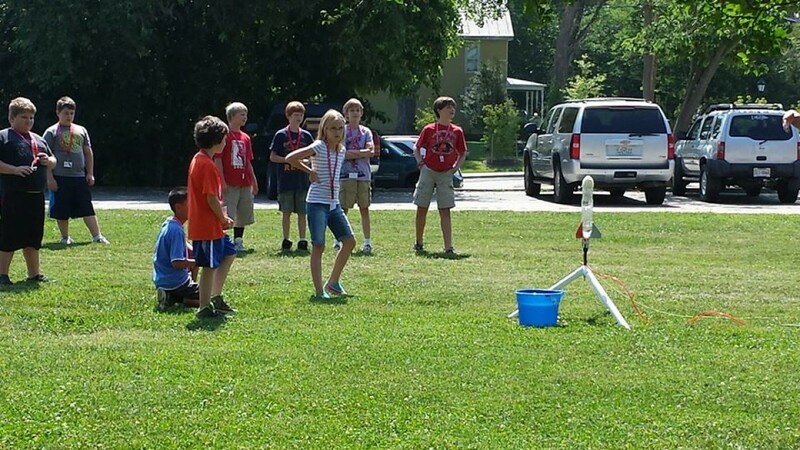 On the first attempt, our foam-tipped rocket almost landed on a car in an adjacent parking lot, so we had to adjust our pad location. 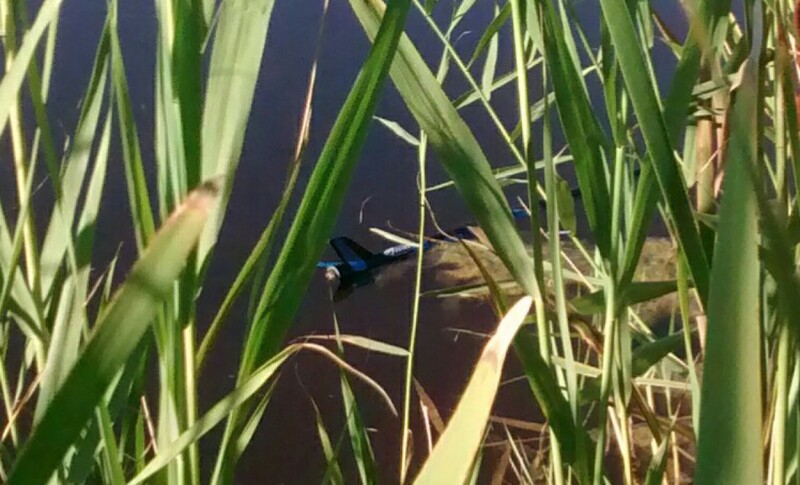 Also, during a launch day demo flight my dad managed to land his Mean Machine in the middle of a pond next to the field (see photos). 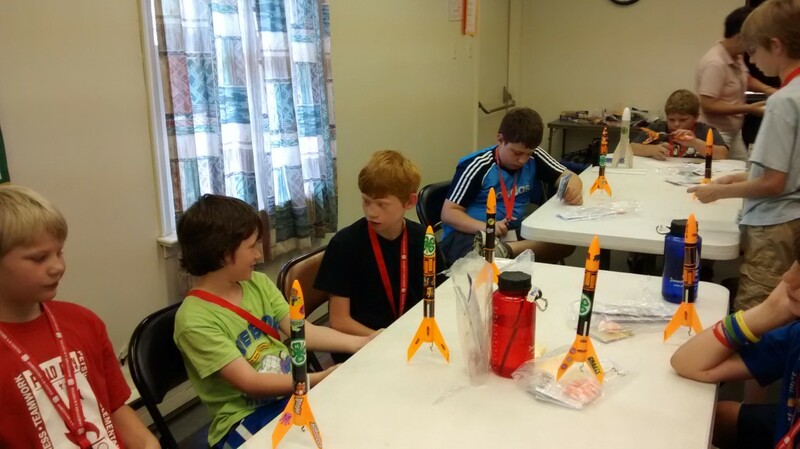 Last year’s camp was only two days plus the launch. 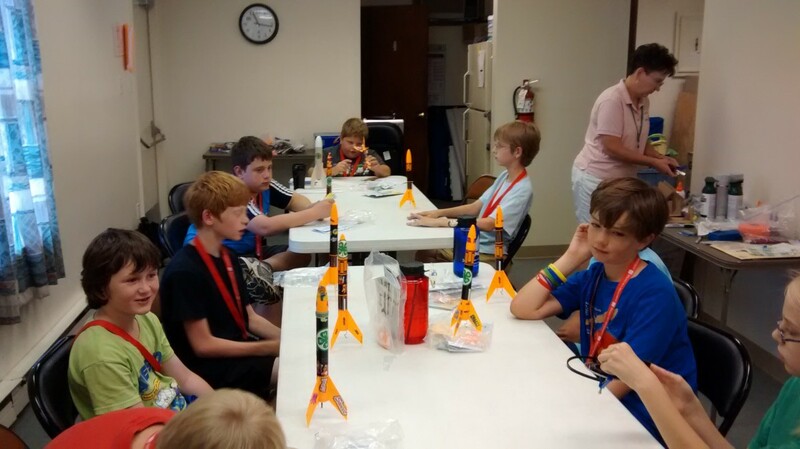 We helped the kids build Baby Berthas, which was interesting to attempt with novice builders and only two days and other activities and information to cover. 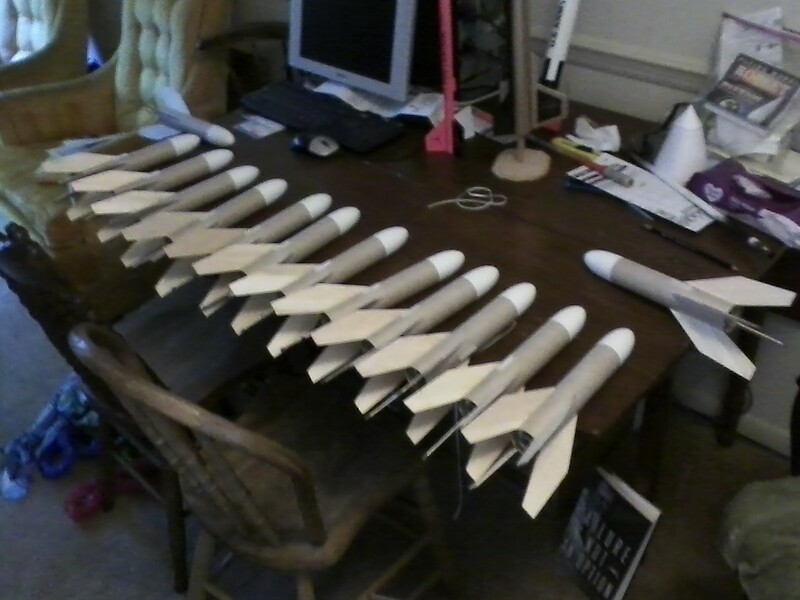 We managed to get through it with the help of the 4-H leaders and adult-handled super glue for tacking on fins. 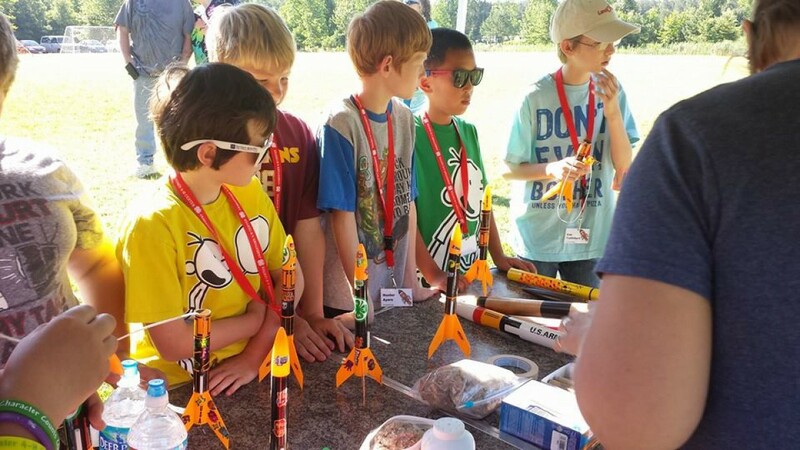 After both experiences we felt confident that it was a wise decision to go with the simpler Alpha III kits (NOTE: Alpha IIIs do not come equipped with engine blocks; we recommend that they be added to ensure that the rocket last longer). 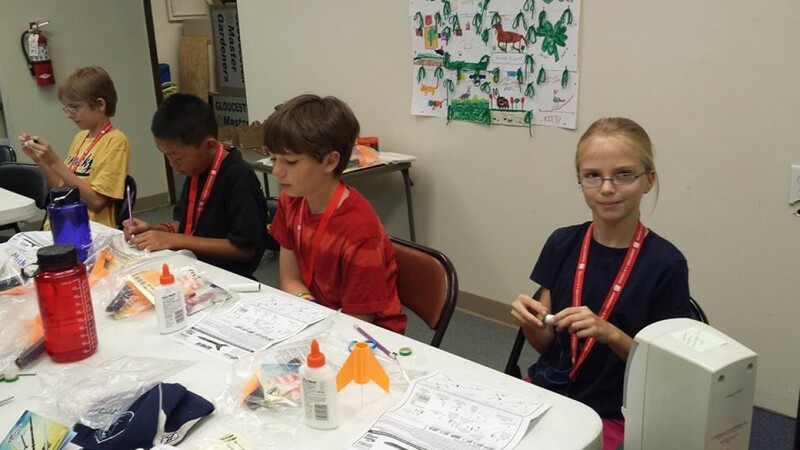 Some photos below are our own; many were previously posted on the local 4-H Facebook page. 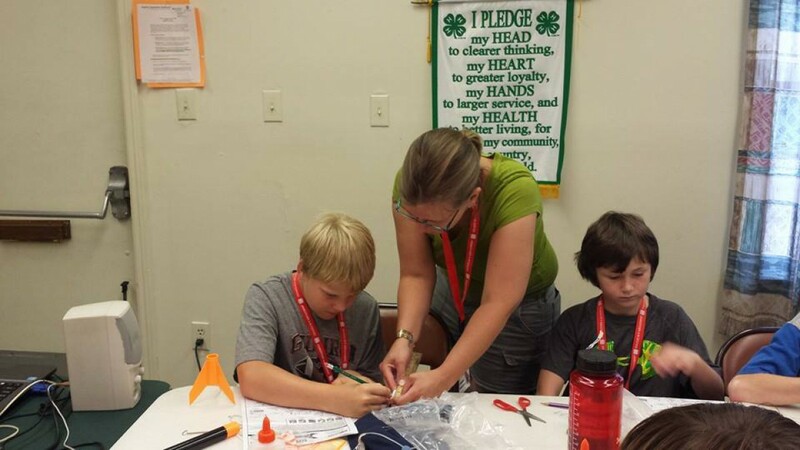 Special thanks to 4-H leaders Krista Gustafson and Jackie Jeffris for all their help. 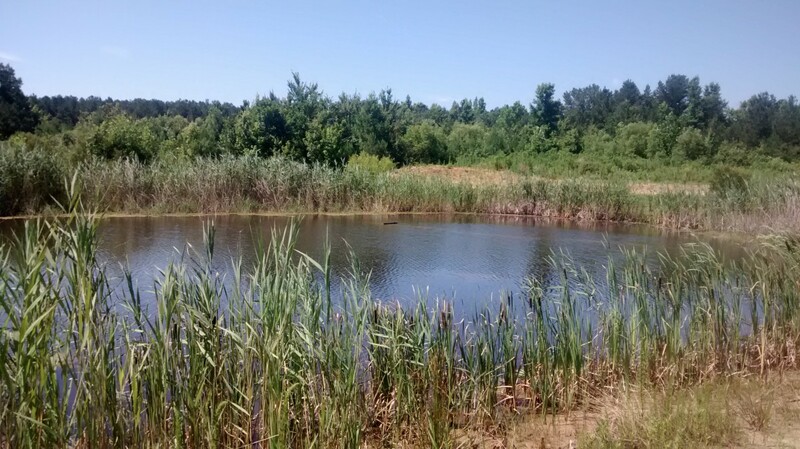 If you find information on our site to be of value, please consider sending a donation* via PayPal.